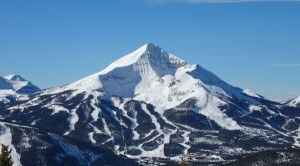 Do you know how the runs at Big Sky Resort, Lone Mountain Ranch, and the surrounding backcountry areas got their names? You will know all this and a whole lot more when you read Dr. Jeff Strickler’s book, The Skier’s Guide to the Biggest Skiing in America. The Skier’s Guide to the Biggest Skiing in America is a fantastic resource for anyone who wants the inside scoop on Big Sky Resort, Lone Mountain Ranch, and the surrounding area. Pick up a copy online or at a local Big Sky retailer to learn all about the runs you ski and ride every day. Africa – When you look at the shape of of Africa from a distance it looks like the continent of Africa. Colter’s Hell – Colter’s Hell is named after John Colter, a member of the Lewis and Clark Expedition and a well known mountain man who explored the Greater Yellowstone Ecosystem. Otter Slide – This steep entrance to Lenin and Marx is named after a German Shepherd ski patrol dog. The Yeti Traverse is also named after a ski patrol dog. Mr. K – Mr. K is Big Sky’s signature green run that drops 1750 feet over nearly 3 miles. The run was originally called Killifer after Tom Killifer, a CFO of Chrysler, but was renamed Mr. K in honor of Everett Kircher, the founder of Boyne USA. Single Jack – Single Jack is a tree run off of Lookout Ridge. A single jack is a mining term referring to a sledge hammer held in one hand. Marx – One of the signature runs off of Lone Mountain, Marx was named by locals who used to hike to the terrain in the pre-tram era. Even though Big Sky tried to rename Lenin and Marx to Thunder and Lightning, their original, local names stuck around. Dead Goat – Dead Goat is located just uphill from the Lone Tree Chair. This run was named when skiers startled a group of mountain goats and a kid took a tumble over some cliffs. Ski patroller, Troy Howe, did CPR on the goat and took it down on a rescue sled. The goat later died from its injuries, thus the name. When you learn all of the stories in this cool book, you’ll be able to wow your friends on chairlifts and be an endless source of entertainment at some of Big Sky’s best apres ski locations. The book is filled with fascinating stuff and helps to complete both the local and guest experience at Big Sky. With over 300 named runs at Big Sky Resort, over 85km of trails at Lone Mountain Ranch, and endless backcountry terrain everyone can learn something new in The Skier’s Guide to the Biggest Skiing in America. With over 40 years of experience skiing in Big Sky, Strickler recently published the 3rd edition of The Skier’s Guide to the Biggest Skiing in America. Buy a copy today and take your enjoyment of the Biggest Skiing In America to a whole new level.